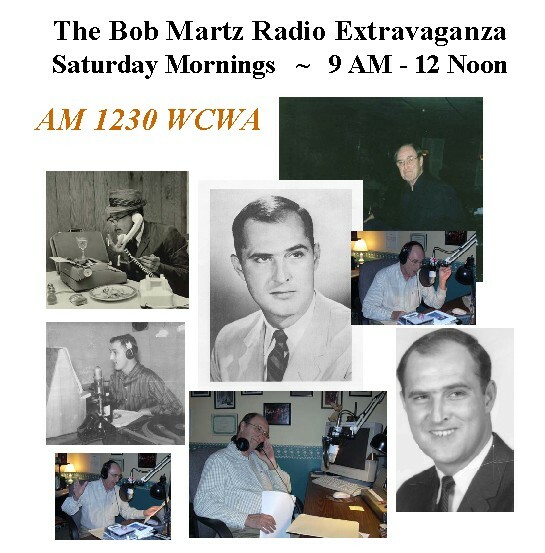 We are sad to report that Bob Martz died at 5:50 AM on Saturday, August 2nd. The radio program will continue with co-host 'Ragtime Rick' Grafing. will continue to play music "you won't hear anywhere else on the Toledo radio dial." All sponsors are local small businesses which have been hand-picked by the hosts. The program can also be heard on the internet at www.WCWA.com. on Saturday, August 9th is now available on CD. please click on our SPONSORS page.